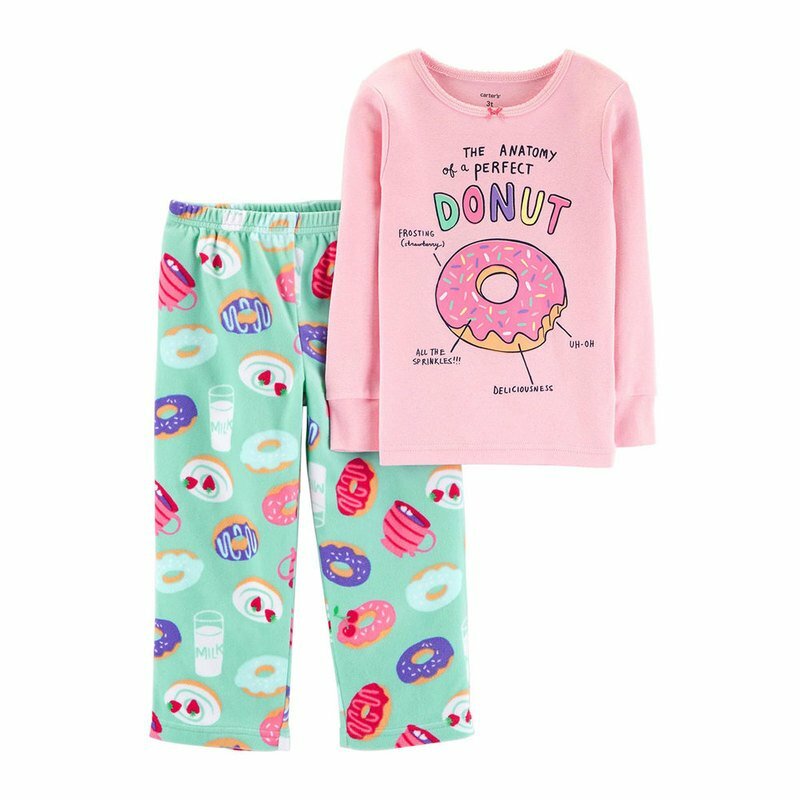 Crafted in snug fit cotton on top and snuggly fleece on the bottom, this cute set has her sleepover ready! Carter's polyester is flame resistant without any chemical treatment. Carter's cotton PJs are not flame resistant. But don't worry! They're designed with a snug and stretchy fit for safety and comfort.